Do you build WordPress sites for clients or provide services that require you to educate and train people to use WordPress? If so, no doubt you’ve probably experienced some of the challenges of educating, teaching, and training new WordPress users. Having spent well over a decade as a WordPress educator and trainer working with businesses of all sizes, I am well aware of the challenges of educating and training new WordPress users. In fact, I have spent years systematically trying to address these challenges in order to develop an effective system for training and empowering WordPress users. This article explores the challenges of not only educating, teaching, and training new WordPress users, but also how to do this in a way that will empower users to get better results online using WordPress. The WordPress Paradox – If WordPress Is The Answer, What Is The Question? Who Needs WordPress Education & Training? Is Self-Empowering WordPress Users “Bad” For Business? WordPress is easy to use when you know how but hard to explain to someone who has never heard of WordPress before. Learning how to use most technologies often requires undergoing a steep learning curve and WordPress is not different. The real challenge with teaching someone how to use WordPress, however, is not showing them how to post content on their website, but teaching them how to become a self-empowered WordPress user. A self-empowered WordPress user is someone who is in complete control of their digital presence and who can achieve better results online by knowing how WordPress works and how all the different features, functions, options, settings, integrations, enhancements, add-ons, etc. can be used to achieve the results they want. Most current WordPress training sites, methods, courses, and resources aren’t designed to truly empower new WordPress users. At least not the WordPress end users, i.e. the businesses who own a WordPress site and should be in control of their digital presence. As explained in The WordPress Paradox, WordPress allows anyone to be in complete control of their digital presence and create the results they want with WordPress without requiring technical skills like coding or programming. Add new pages and posts. Upload files, add images, videos, downloadable files, etc. to their site. Manage and maintain their site and their content, software, files, and database updated and secure. Perform file and data backups. Install, configure, and update plugins and themes. Configure, tweak and optimize their site’s settings. Use widgets, shortcodes, RSS feeds, etc. Automate management and marketing processes. Helping new WordPress users become self-empowered so they can perform all the above processes and activities themselves if they had to, however, is very challenging. Empower users to have complete control of their web presence. How Do I Get Results Using WordPress? Challenges of identifying WordPress end users and their needs. Challenges of providing WordPress education and training services. Challenges of creating effective WordPress training resources. Challenges of implementing effective WordPress training methods. The first step to addressing the challenges of educating, teaching, and training people about WordPress is to work out who needs to learn what. The WordPress Economy is made up of both technically ‘inclined’ and technically ‘declined’ people. Technically inclined people typically don’t mind spending time learning how things work. They also tend to be autodidactic (self-taught) and can easily learn WordPress using free resources like the WordPress Codex, searching online for answers, going through tutorials posted by other WordPress users, and by participating in forums, user groups, online discussions, WordPress meets, etc. Technically declined people, on the other hand, want websites they can be in control of and manage themselves, but most are averse to learning ‘technical’ stuff. They don’t want to learn how to edit code, learn web languages, etc. They just want to get better results online with their websites. As a general statement, then, technically inclined people (e.g. website developers) provide web services to technically declined people (e.g. small businesses). This creates an interdependency. As we’ll see in a moment, this interdependency adds to the challenges of educating, training, and teaching new WordPress users. Technically declined people who are not using WordPress yet are your prospects. This group of people need to be educated about the benefits and advantages of using WordPress. Some of them may have never even heard about WordPress. This group includes most business owners, people planning to start or take a business online, would-be bloggers, etc. Technically declined people who have a WordPress website or blog are your clients. This group of people need to be educated about the benefits and advantages of using WordPress and be taught how to use the many different features and functions of WordPress to achieve better results online using their websites or blogs. So … prospects need WordPress education and clients need both WordPress education and WordPress training. So far, we have identified two different groups of ‘technically declined’ users who have different WordPress education and training needs. Let’s go back to our technically inclined users for a moment. Website developers, web designers, etc. 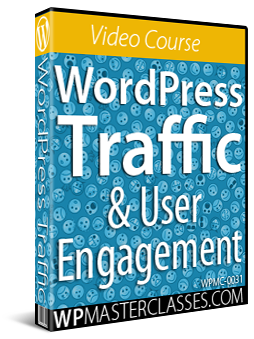 who want to learn WordPress to help other people build, manage, and grow their web presence. We don’t need to be concerned about DIY WordPress users here, as they have the drive and motivation to seek answers for themselves and can teach themselves everything they need to know about WordPress from the myriad of WordPress resources that are currently available. The important relationship to focus on here is the interdependency between ‘technically inclined’ WordPress service sellers who need ‘technically declined’ prospects and clients to sell their services to. Techies don’t need general WordPress services like website development, WordPress maintenance, etc. as they can easily learn how to do all this themselves. People who provide general WordPress services, on the other hand, need non-technical-minded prospects and clients who will pay for their services and keep them in business. Clearly, then, non techie WordPress users make up the bulk of the WordPress Economy. They are the largest group of end users who will consume WordPress products and services. Non-techie WordPress users, therefore, are the ones ultimatey responsible for keeping the WordPress industry and WordPress itself alive and growing. Most WordPress developers, plugin developers, theme developers, etc. ultimately need non-techie WordPress users to stay in business. Most non-techie WordPress users don’t care about the technology that powers their website and have no desire to learn technical web stuff. They don’t want to become web developers and they are not interested in messing with code and scripts and learning web languages. That’s why they pay people like website developers to do technical stuff for them! Most non-techie WordPress end users, however, care about getting results. They don’t care if their websites are built with techno poop as long as it brings them more customers, more leads, more sales, more subscribers, etc. Non-techie WordPress users don’t just want better results, however, they also need to feel that they are in complete control of their web presence. If I buy a car, I want to feel that I own it and that I am in complete control of my vehicle. I should be able to drive it anywhere I want to go without having to be chauffered around by someone else and I should be able to drive it alone when I want to, instead of having to bring along a whole load of mechanics as passengers to get to my destination. That’s not how things are with most website owners, however. Although businesses pay to own their own website, they are not taught how to drive it. They can’t go wherever and whenever they want to go alone, because most don’t know how their online vehicle works. They are not self-empowered. WordPress education and training that empowers users to be in complete control of their web presence begins by helping your prospects and clients understand why they should be using WordPress. It involves teaching them about the benefits and advantages of using WordPress and all that WordPress can do. For example, we have created an entire Introduction To WordPress training module devoted to explaining to non-technical users the benefits and advantages of using WordPress. We emphasize opening with the benefits when training new clients as described in our guide on how to effectively train and empower new WordPress users. What systems, tools, resources, and content do I need to create or access to truly educate and train non-technical WordPress users so they can be fully empowered to get better results online in their business? Are the current methods I am using to educate and train my prospects and clients enough to help them become self-empowered WordPress users, or are there things I am not teaching them because this would adversely affect my business? Technically declined users “don’t know what they don’t know” about WordPress and websites in general. They mostly depend and rely on the advice of experts. For most non-techies, the first point of contact and main source of information about things related to websites, then, is their website developer. Many website developers believe that fully empowering users to manage their own sites is “bad” for their business. The core business of website developers is selling web services and doing technical work for clients, not creating client training systems and providing WordPress training and education services. Building a web services business is full-time work. So is creating and maintaining effective client training systems. As the main focus of most website developers’ businesses is selling web services, many will not invest the time, effort, or the resources required to plan, document, implement, and maintain effective training systems. 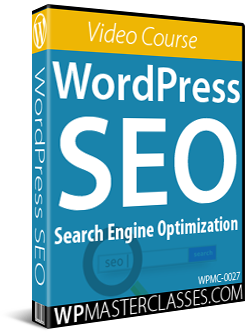 Many website developers regard WordPress training and education as an afterthought of the sales process, i.e. a convenient way to hand over a completed website project to the client, instead of the beginning of the client’s journey towards digital self-empowerment and self-reliance. Because of this, many website developers provide clients with only basic training on how to use their new WordPress sites. If all a client receives from their website developer is basic training (e.g. how to add content to posts), what happens when clients need to get things done outside of the training they’ve been given? Are website developers going to be available 24/7 to service their client’s every need, answer every question they have, and solve every problem they experience? If so, will they be continually charging their clients for this? Clearly, most service providers can’t afford to provide 24/7 training and support for free. While charging clients for time spent training, answering questions, and helping them solve problems makes good business sense, this also has a profound financial impact on both the service provider’s and the client’s business. Answering ‘quick’ questions from clients for free will eat into the service provider’s daily workload, increase their costs, and lead to opportunity losses, but charging clients for ongoing training and assistance will increase ongoing client costs which can lead to higher client attrition rates. Adding client support and training services requires the implementation and maintenance of additional systems and processes which can increase the strain on existing resources and reduce the time service providers have to find and service new and existing clients. Training clients to use WordPress, then, can be a double-edged sword that will cut into both the client’s and the service provider’s business. Suppose your business is building WordPress websites and you have just finished building a new website for a client. Now you have to train them to use WordPress. What is the main objective of training your clients to use WordPress? Is it to help them become self-empowered so they can learn how to be in complete control of their own web presence, or is it to keep them dependent on using your web services so you can stay in business? Most businesses that sell web services depend on keeping clients dependent to stay in business. As we explain in The WordPress Paradox, however, WordPress is becoming progressively easier for non-techies to build, manage, and grow their own web presence without requiring knowledge of coding or web development or even the assistance of outsourced service providers. There is no reason, therefore, why non-techies couldn’t do everything themselves if they really wanted to. The main problem for non-techies, then, is that their most trusted source of WordPress help and advice (i.e. their website developer) has no financial incentive to let their clients go and no motivation to educate their clients to no longer need their services. The very idea of asking a website developer to teach their clients that they don’t need website developers to build and run a WordPress site must feel ridiculous … to a website developer! Informing businesses that WordPress gives them the choice of not needing website developers and technical people to build and run a website, however, doesn’t feel ridiculous to the client. It feels empowering! As explained in The WordPress Paradox, WordPress creates an inherent conflict of interest between technical service providers and their non-technical clients. Businesses have an implicit expectation that their website developers will help empower them by showing them how to use WordPress to manage and grow their sites, but, as we have just seen, the core business of a website developer is not to train their clients to be independent, but to find and keep clients dependent on their services to stay in business. This conflict of interest can result in service providers ‘holding back’ on the information they present to their clients and only showing them how to do very basic stuff, like how to create a post or how to add and publish content. WordPress comprises of many moving and interrelated parts. Its many different features, functions, options, settings, integrations, enhancements, add-ons, etc. are part of the reason why WordPress is such a powerful, flexible, scalable, and highly customizable website-building platform, content management and content publishing system, and digital marketing and web management tool. As explained in What Most Learn WordPress Tutorials Don’t Teach You About Using WordPress, knowing and understanding how all the processes and features listed in the diagram above work is essential for users that want to learn how to create a more effective post using WordPress. How you teach someone to create a post in WordPress, then, will depend on whether your goal is to keep clients dependent on using your services or help them become self-empowered WordPress users. We’ve just seen how something as seemingly basic as creating a new post in WordPress requires knowing and understanding how to use many different interlinked processes, features, functions, settings, options, etc. It also involves teaching users what to do before, during, and after completing each step of the process. An effective WordPress education and training resource for non-technical users, then, needs to be able to organize the information in logical step-by-step sequence and deliver it in the right context using non-technical terminology. It can’t assume that users know things they may not know and it can’t have any ‘missing’ steps or it will confuse the user. Creating this type of resource for non-technical users is fraught with its own challenges. It’s hard, it’s time consuming, and it requires meticulous planning and incredible attention to detail. ‘Quick-Start’ PDF guides or training videos that contain incomplete and/or outdated information. 1-2 hr training sessions that confuse and overwhelm users and leave them with more questions than answers at the end of the session. As already stated, most service providers need clients to remain dependent on using their services. Why would they go through all the time-consuming and frustrating effort of putting together training resources to help clients no longer need their services? Even if you start out with the goal of helping non-technical clients, there are still many challenges involved in putting together an effective WordPress training resource. Most WordPress tutorials and resources found online (including the official WordPress Codex) are created by technically-minded users to help other techies learn how to do techie stuff like tweak code, customize templates, etc. These tutorials are useful for web developers and other WordPress service providers. They are not aimed at helping non-techies who are averse to messing with code. Empowering users means giving people a choice. It begins by educating clients about all of their available options and then letting them make an informed decision about how they would like to proceed. For example, performing WordPress maintenance is not hard or time-consuming once you know what to do. Many aspects of the WordPress maintenance process can even be automated. If your approach is to empower clients, you would let them know this and they can then choose whether to invest their time learning how to perform their own site maintenance or pay someone like you to perform the service on their behalf. WordPress is continually evolving and many of its features, plugins, and themes are constantly being improved and regularly being updated. This makes it hard to keep training documentation and information up-to-date. 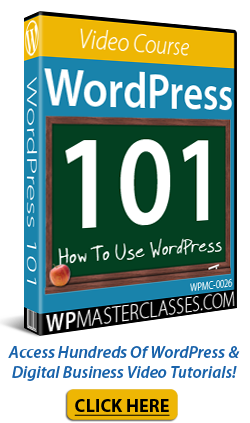 Many online tutorials contain outdated or obsolete information about WordPress because the authors of these resources have no systems or processes for keeping their information updated. Without an effective document management system, it’s almost impossible to keep track of what changes have been made in your documentation, what updates need to be made and where, who has which version of what training resource, etc. Many WordPress training resources are also produced, delivered, and distributed in formats where informationis inherently difficult to keep up-to-date. This includes eBooks, PDF guides, videos, etc. The World Wide Web has been described as being like an endlessly vast and chaotic library where the books are randomly scattered everywhere. All the information you need is out there but finding what you need when you need it is incredibly difficult and time-consuming. Most new WordPress users don’t know what they are looking for until they run into a problem or get stuck and need help. If users need to have completed prior steps before moving forward with their current task, they’re stuck until they can figure out what prior steps should have been taken. If you are describing what users need to do to achieve a specific outcome or result, you will also need to have already created all the supporting documentation and tutorials they will need to refer to. Otherwise, users are being told “what” to do but not actually being taught “how” to do it and they will be left hanging in mid-process confused with nowhere to go. Many training resources that claim to be ‘step-by-step’ are, in fact, more like overviews of processes and contain lots of missing steps. This can create confusion and lead to more unanswered questions instead of focusing on getting results. The last challenge of educating, teaching, and training new WordPress users we’ll mention here is how to implement WordPress training methods that are truly effective. Again, this comes back to whether the end goal of your training is to truly empower new users to be in control of their WordPress sites or to keep them dependent on using your services. To truly and effectively empower users to learn WordPress requires more than just training methods. It requires an effective WordPress education and training system. ‘1-on-1’ sessions or group meetings, workshops, phone calls, etc. No training – Give users link to support forums and let people figure things out on their own. Most training given to new users basically consists of a loose collection of methods, put together for the convenience of the service provider, delivered in a format where the information is difficult to keep updated, and where the end goal is essentially to make the client feel good about the service provider and keep using their services. The focus of a truly effective WordPress education and training system, then, should be to empower new WordPress users to learn as much as they can about the benefits and advantages of using WordPress and to show them how to be in complete control of their web presence. This is very difficult and challenging, however, because of the inherent conflict of interest mentioned earlier between WordPress service providers and their non-technical clients. Not providing WordPress training and education that empowers non-technical users to be in control of their digital vehicles, however, will have a serious impact on the WordPress economy and negatively affect anyone who provides WordPress services to businesses. These consequences are explained in more detail in the The WordPress Paradox and in my book, The Small Business Digital Manager. An effective WordPress training system needs to be well planned, well organized, comprehensive, and up-to-date. 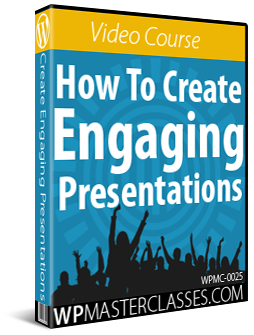 Individual tutorials need to be detailed and laid out in ‘step-by-step’ sequence. The content in these tutorials should also be easy for non-techies to understand and contain practical applications that they can easily apply by themselves. The format of the training should also be easy for users to navigate, and to quickly and easily find the answers they need when they need help, get stuck, have questions, or simply want more information. With such a system, educating, teaching, and training new WordPress users about WordPress would consist of showing them how to access and use the system and directing them back to the system any time they need help with WordPress or how to use its features. As mentioned earlier, WordPress itself provides training content, but it tends to be more geared toward an audience of technical users. This is why we created WPCompendium.org. Our mission is to help non-technical WordPress users be in complete control of their digital presence without requiring technical skills and our focus is to help non-techie website owners become self empowered so they can learn how to create the results they want online with WordPress at minimal cost. 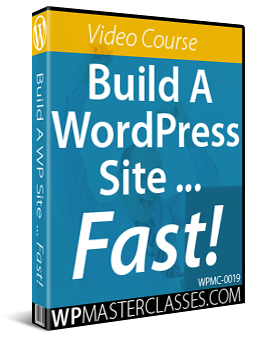 We have spent years building a comprehensive WordPress training content library that includes hundreds of detailed step-by-step tutorials organized in logical sequence and fully interlinked. 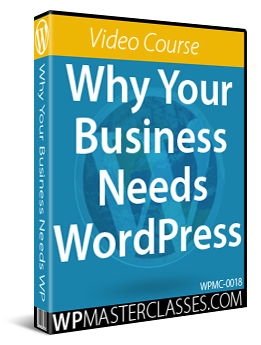 We recently added WPMasterclasses.com, a site that provides WordPress and digital business video courses, to our WordPress training system. The site provides 1,000+ video tutorials and many video lessons include links to detailed written step-by-step tutorials, downloadable files, templates, guides, etc. We have also developed a WordPress user tutorials plugin that allows users to instantly access all written and video tutorials from their own WordPress dashboard. While WPCompendium.org is a work in progress and far from being complete, there’s probably no better online training resource for non-technical WordPress users. All of our tutorials are 100% FREE and anyone is welcome to use it to train their clients or staff, or to learn about WordPress. We hope that you have found this article useful. If you need an effective WordPress 1-1 script for training clients, go here: How To Effectively Train And Empower Clients To Use WordPress. If you need to train your staff to use WordPress, see our Guide On How To Effectively Train Your Staff To Use WordPress In 7 Days. If you are a self-learner, see our Ultimate WordPress User Guide For Beginners. If your clients prefer to learn WordPress using videos, refer them to WPMasterclasses.com or install our WPTrainMe plugin on their site (Note: both sites offer an affiliate program). If you provide WordPress services or products, consider listing your business on our WordPress Services Directory.